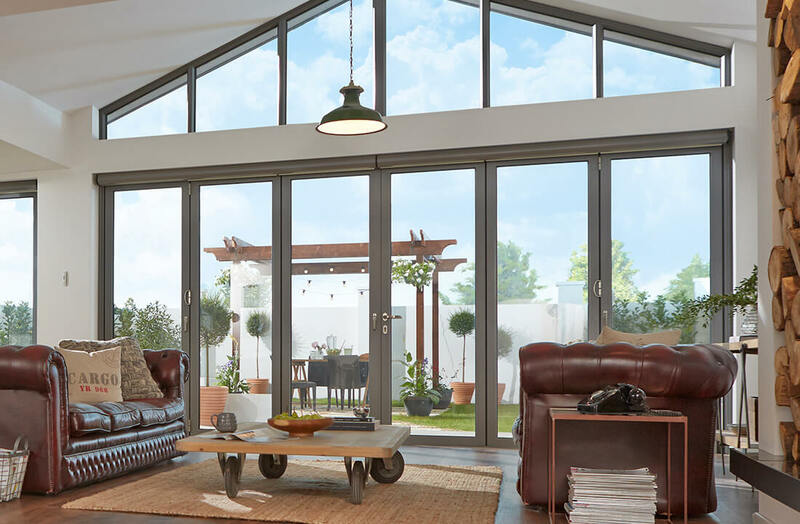 The latest patio door solution, bifold doors perform all the regular patio door functions, such as maximising light intake, although they are operated distinctively differently. Here at Budget Windows, we provide them in either uPVC, aluminium or timber. Three different materials, various styles and a consistently excellent performance so they’re the perfect match for all types of home in St Albans, Hertfordshire and North London. 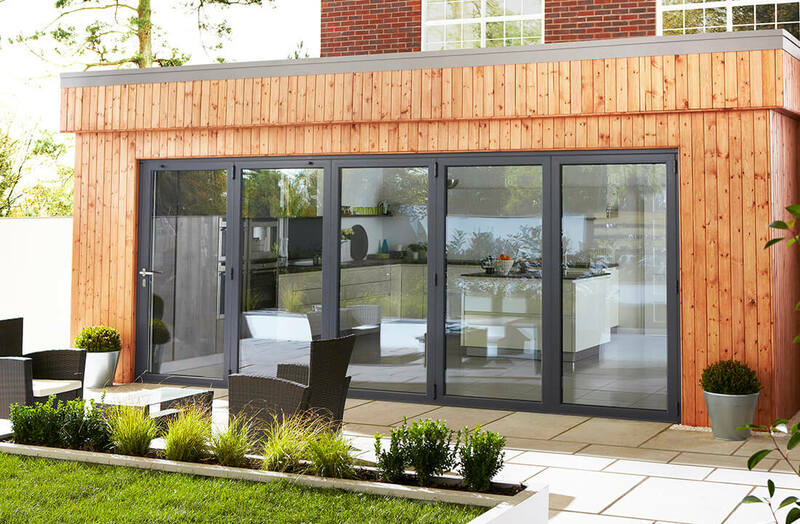 One of the distinctive features of bifold doors is the incredible amounts of glazing they’re fitted with. Because of this reason, homeowners can enjoy scenic exterior views, which is perfect for those who are particularly proud of their garden. But that’s not all, huge amounts of glass means huge quantities of light, so your home’s interior will be significantly brighter. The glazing we use is also incredibly energy efficient, meaning they’ll keep your home warm and toasty too. Secured at multiple points in the frame thanks to advanced multi-point locks and internally glazed, you don’t have to compromise the safety of your home environment to enjoy the excellent benefits on offer with bifold doors. Ventilate any Hertfordshire property without restricting accessibility with Bifold doors. To open, bifolding doors are slid to one side and the individual door leaves stack on top of one another. Not only does this mean they’re a great way to save space, it means you’re able to completely open up your home to the elements, injecting it with vast quantities of air. 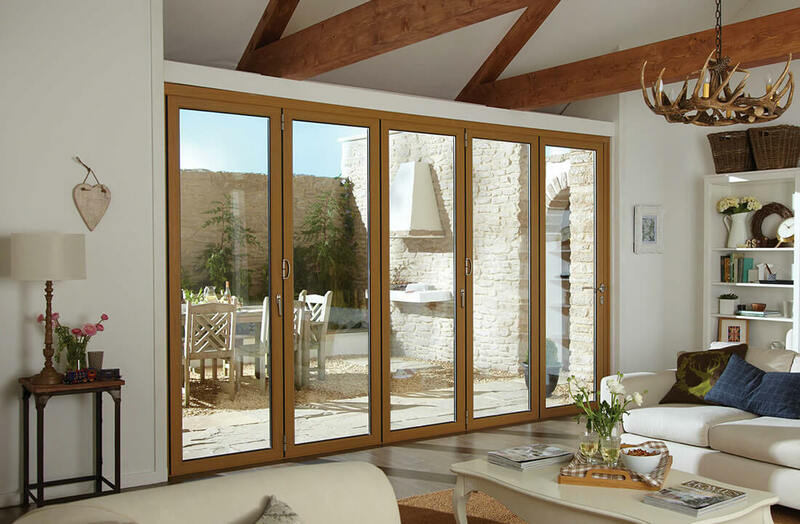 As long as there is adequate support available, bifold doors can even be used to replace a whole wall! Suitable for any home, if easy access is required, our bifolds are also available with a low threshold option. As previously mentioned, our bifolds are available in three different materials: uPVC, aluminium and timber. As a material uPVC will not discolour over time nor will its finish chip away. Plus, uPVC is incredibly easy to maintain because cleaning it simply requires wiping it down with a cloth. Of the three materials, aluminium is the strongest. For this reason aluminium bifolds feature slightly thinner framing. Not only does this create a sophisticated, modern aesthetic, it also enables them to let in slightly more light than the other two materials. The colour options for our bifold doors are extensive to say the least. Because of this reason you can easily co-ordinate their appearance to suit the surroundings. The colours and finishes that are available will vary according to the material, however. 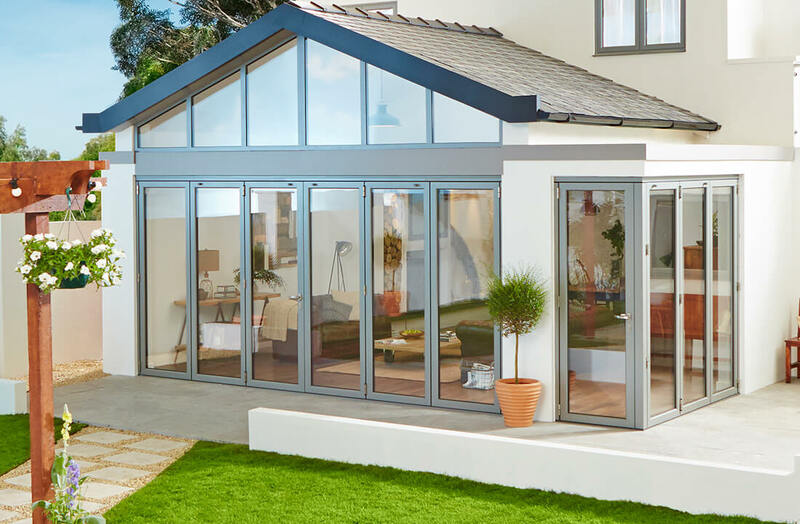 For our aluminium bifold doors, there are a huge quantity of colours from which to choose, although our uPVC and timber bifolds can also be finished in a wide number of shades. The shades that are available range from the beautifully bright to the exquisitely subtle. Our bifolding doors can also be dual coloured. Dual coloured bifolds will have a different colour for the interior and exterior sides of the door. This is a great option for those who are looking to ensure colour compatibility with both the inside and outside of their home. Bifold doors are available in a variety of different configurations. 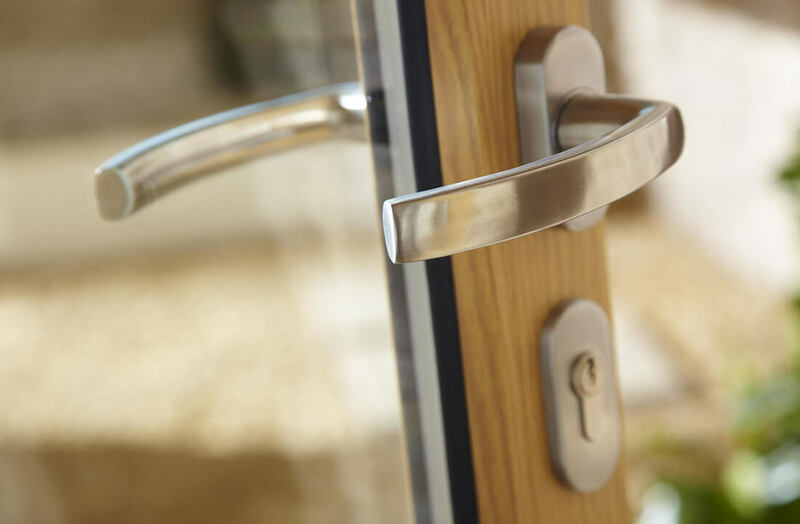 However, some of the configurations that contain a higher number of door leaves are unlikely to fit smaller apertures so bear this in mind when considering which configuration is right for you. Choose from between 2 and 8 door leaves for your folding doors. The size of the individual door leaves is also not set, meaning they can be altered to suit various height and width restrictions. Additionally, you can decide if you’d like multiple doors opening in the centre and the doors folding to either side, or a master door with the other door leaves folding to one side. 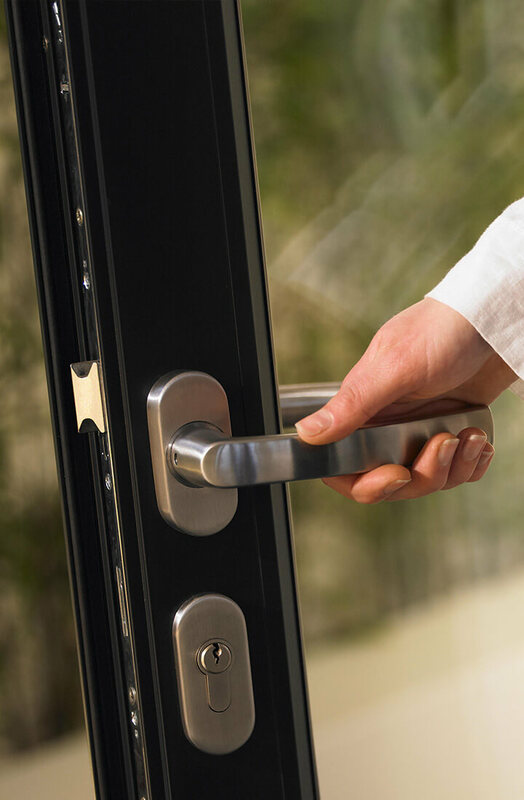 A master door is a fixed door that opens like a standard door (inwards or outwards).